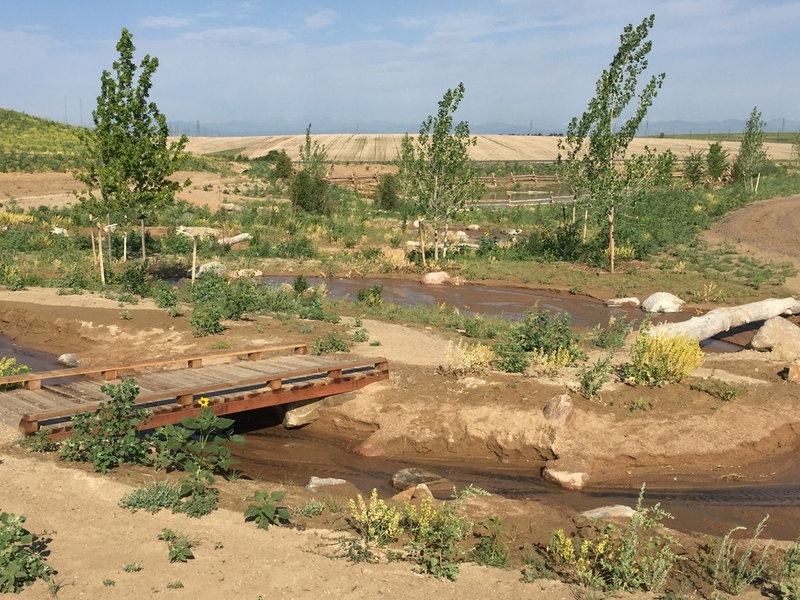 Lafayette, Colorado...June 25, 2016 ⎯ Design Concepts, an award-winning community and landscape architecture firm, is celebrating the grand opening of The Park at Arapahoe Fairgrounds and providing guided walking tours and sharing ‘Behind the Design’ stories of the new park. 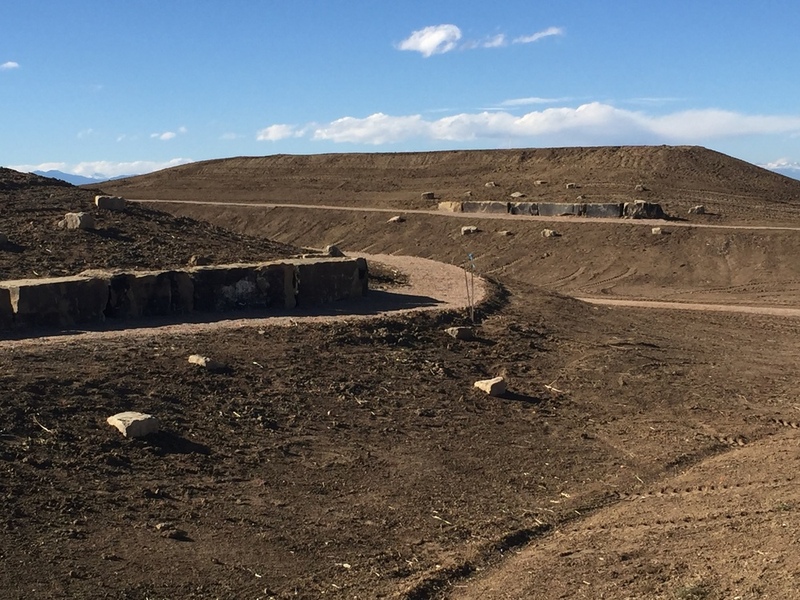 The 110-acre park is a new feature at Arapahoe County Fairgrounds and Park. 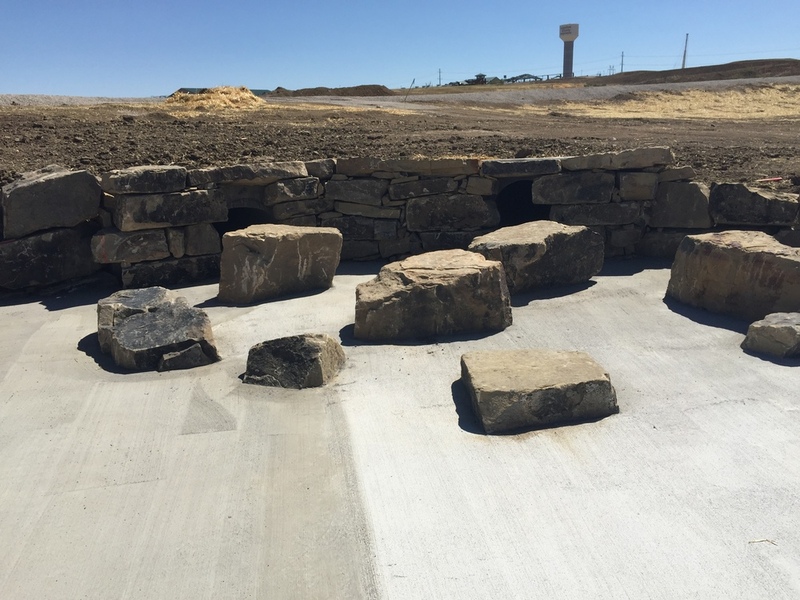 The phase 1 offers many new amenities including a new main entrance to the park and fairgrounds, a central green with walkways and a plaza and picnic shelter, multi-use fields, nature play area, accessible loop path, natural surface trails, and water features including two ponds and a naturally meandering stream play area. The theme of the park design focuses on three central concepts including nature play, interpreting the history and heritage of the region, and 21st concepts of fairgrounds of the future. The initial concept of the park was to blend the worlds of suburban parks with fairground activities and where the two meet, ‘nature play’ occurs. A primary goal in nature play is to bring kids back to nature. Nature play is about non-structure play. It’s ‘free play’ unbounded by structures or formality. It’s putting children in their natural environment and letting their minds work naturally. Within the park, there are numerous opportunities provided to encourage that interaction. Another initiative was to interpret the history of the region and its natural areas. 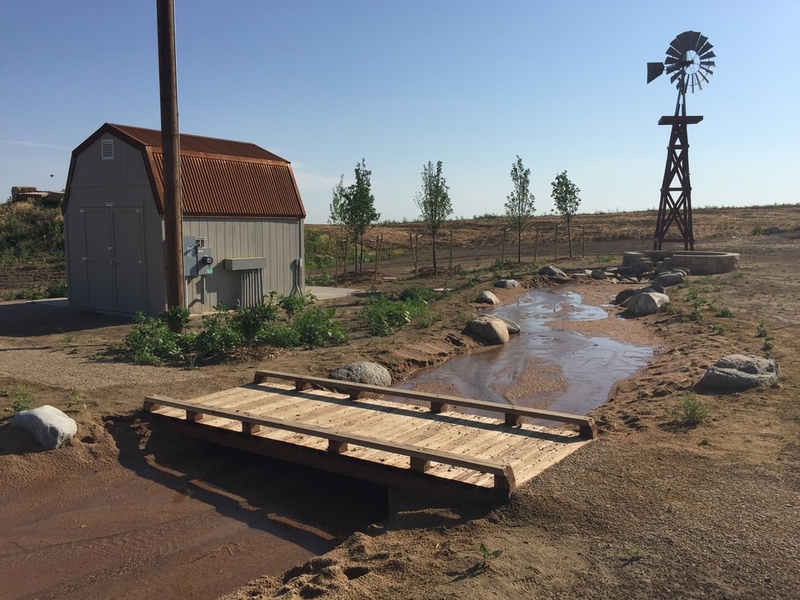 The design of the park honors the history and heritage of the original homesteaders who farmed and ranched the regional high plains. This area of abundant opportunity also came with unique challenges including a variety of harsh weather—occasions of drought, seasons of blistering heat to freezing temperatures, and open prairie lands offering little protection from harsh winds. The park takes cues from this environment and its rich history by interweaving cues of this story. The fairground aspect of the site includes all the facilities needed for major fair events: rodeo and riding arenas, exhibition spaces, a midway, RV and trailer accommodations, and flexible events buildings. Blending a park with a fairground facility opens up a new interpretation for the 21st century fairgrounds. Year-round space is now available, not just when programmed events are occurring. The new parade grounds and center green create a much broader multi-use space for existing and new events including dog shows, festivals and more. Beauty of the utilitarian farm: Forebay sedimentation basin. Not your standard drainage chase.